Traumatic experiences can occur at any point in life and in a variety of settings. Individuals who experiences the symptoms of PTSD should be assessed and, as needed, receive treatment such as, trauma-focused psychotherapy and/or medications to manage symptoms. This guest post helps us better understand what PTSD is and how to identify the symptoms. Typically, when we hear PTSD, Post-Traumatic Stress Disorder, we think of military veterans who experience vivid and often debilitating panic-inducing flashbacks of their time at war. With June 27th being National PTSD Awareness Day, a condition resulting in over 3 million cases in the US annually, we thought it best to gain some clarity. Typical symptoms of PTSD include distressing nightmares, that awaken you in a state of panic, persistent thoughts and recurring flashbacks about the traumatic experience, numbing or avoidance of memories of the trauma, triggered emotional responses and just an overall on-edge feeling. “Anyone can have PTSD symptoms and oftentimes they may feel judged for not being able to shake off something others may perceive as not being a big trauma. Many people suffer in silence, instead of getting help people after exposure to these traumas. One quarter of the population will be involved in automobile accidents that result in serious injuries. For those who come seeking mental health treatment after a car accident, 60 percent are diagnosed with PTSD, it’s quite common. Symptoms may include feelings of anxiety, increased heart rate, and a fear of driving or even being a passenger in a car. Oftentimes people who were injured in a car accident or even perhaps witnessed a fatality will be in shock. Then over time they begin to reply the accident. This is when it’s advised to seek therapy to cope with this trauma. As stated earlier PTSD is commonly associated with combat veterans with 31% diagnosed. Combat PTSD symptoms can include carrying a weapon when not necessary, seeing threats where none exist, and outbursts of physical violence. Having these symptoms just means that you are have a reaction of stress to a nearly impossible situation. Service animals and emotional support pets are a start. Meeting with a PTSD specialist for therapy along with self-calming activities such as meditation, deep breathing, painting or yoga are recommended. Sexual assault, mugging or robbery are life-threatening situations that can instantly trigger post- traumatic stress disorder. When events like these occur, victims will try to avoid reminders of the trauma, always be on guard, and may have problems in daily living. People who went through assault often report feeling unsafe and on edge as if they are expecting someone to attack them again. They also experience terrible flashbacks with disturbed sleep. Turning to alcohol or drugs isn’t uncommon, which is why it’s so important to seek therapy. Group therapy could be very helpful because there’s comfort in not feeling alone. Natural disasters cannot be controlled which makes it more difficult to prevent the anticipatory anxiety. Devastating life altering events such as tornadoes, earthquakes to hurricanes, and fires often put people into a survival mode for up to 18 months, studies show. Symptoms usually peak during the first year and in most cases, survivors get better with time once they have accepted the reality of the event. When we look at natural disasters that result in loss of lives, assets, and personal property, there’s a sense of hopelessness that can be incredibly overwhelming. The best way to deal with this situation is this is through therapy which is often difficult to receive right away given people get displaced and are focused on basic survival. Emotional abuse is an attempt to control, it’s more about manipulation through put downs, name calling, blame shifting, instilling fear through ultimatum and threats, and making the person question their recollection of conversations and events. Typically, there is an overstepping of boundaries and the person feels as if they are walking on eggshells. Their every decision comes with doubt and anxiety as whatever they choose may upset their abuser. Usually the PTSD begins after the relationship has ended or in the case of emotionally abusive parents, when the child leaves the home. They may feel depressed and fearful of being manipulated without knowing it. Helping people establish firm healthy boundaries and identifying “red flags,” empowers the victim. Emotional abuse is particularly insidious in that it’s feeds off the vulnerabilities and insecurities of its victims. Over the years, especially recently in light of my own, I post on functional limitations. My interest stems from disaster planning a few years ago and the awareness that an evacuation plan needs to account for the physical and other functional limitations of a population. More recently my interest has turned to reducing, eliminating, accommodating or treating the conditions that produce the limitations. Functional Medicine is a medical practice or treatment that focuses on optimal functioning of the body and its organs, usually involving systems of holistic or alternative medicine. It seems to me that it is really directed at eliminating or lessening limitations and this reminded me of a website that included essential oils in a listing of holistic approaches and alternatives medicines. This then reminded me of a graphic and article that spoke to me a while back about essential oils for the pain of peripheral neuropathy. So, I thought I'd list the five essential oils for peripheral neuropathy here and see if anyone has tried these and noticed improvement. I will be embarking on my own testing and look forward to comparing notes. Peppermint Essential Oil: Helps relax muscles, relieves pain, increases circulation, respiration, and provides nervous system support. Eucalyptus Essential Oil: Antiseptic, antibacterial, anti-inflammatory, improves respiration, and helps relieve muscular spasms. Frankincense Essential Oil: Stimulates the immune systems, relaxes muscles, and has anti-inflammatory qualities. Rosemary Essential Oil: Known for improving circulation, relaxes muscles fibers and suppresses muscles spasms. Lavender Essential Oil: Pain relieving, anti-inflammatory, antidepressant and helps reduce damaging effects of stress on the body. Now, in addition to potentially helping to reduce the symptoms of peripheral neuropathy, any of these scents will also help improve the smell of any hospital or other care facility. If you don't know where to turn to obtain these essential oils, I'd love to recommend my little shop for patients just like me. IS CBD the Holy Grail? During my long healthcare career, I've worked with chemical dependency programs in acute, residential and outpatient settings. It was during this career that I saw the rise and fall of various addictions and heard The Joint Commission proclaim pain as the fifth vital sign. The pressures to hand out "pain medication" to patients who would provide feedback on whether or not this was done, contributed to where we are with opioids. But, are their alternatives to opioids and other pharmaceutical medications? This is a question I keep asking and today's guest post seems to align with my own research on the subject of CBD. But, I want my readers to hear from experts and am pleased to bring you today's guest post. Every so often a new supplement or nutraceutical arrives on the scene being hailed as the next best thing. Right now, the buzz about CBD is at a deafening roar. But do people really know what they are buying and, more importantly, why they are buying? As an integrative clinical nutritionist and co-founder of the Holistic Cannabis Academy, I’m still astounded at how very little professionals and consumers really understand. So, can we set the record straight on a few key facts? Nomenclature can get tricky here. CBD, or cannabidiol, can come from a marijuana plant (that which also contains enough THC for a psychotropic effect) or from hemp. Both marijuana and hemp come from the mother plant known as cannabis sativa. By US definition, hemp must contain less than 0.3% THC so that’s why using CBD does not produce a “high” feeling. CBD, one of many different cannabinoids in cannabis, has multiple health benefits. Strains, (the more technically correct name is cultivars) of marijuana can be cultivated to have particularly high ratios of CBD relative to the THC content. If you’re familiar with the story of Charlotte Figi (profiled on the series “Weed” by Sanja Gupta), her seizures were significantly reduced because of the high levels of CBD in that cultivar. But when buying CBD products today online and at retail stores, it’s the hemp derived CBD that you are using. Think of hemp-derived CBD as a gateway to wellness. Why? Because it is a potent anti-inflammatory and the vast majority of chronic disease involves inflammation. Even the US government is convinced about the potency of CBD as an anti-inflammatory agent; they hold patents for cannabinoids medicine. In addition to its anti-inflammatory effects, CBD works as an anti-oxidant and neuroprotective. It’s shown therapeutic promise for ADHD, autism, migraine, Crohn’s disease, Parkinson's disease, Alzheimer's disease, cerebral ischemia, diabetes, rheumatoid arthritis, and certain cancers. Progressive healthcare practitioners are often recommending CBD and THC-containing cannabis to their patients as adjuncts to other more conventional therapies. A key consideration about cannabinoid medicine – the use of cannabis and its plant constituents for health and wellness – is something called the “entourage effect.” As the name implies, cannabinoids work better together as a team, rather than alone in isolation. So, when purchasing a hemp-derived CBD product, look for the terms such as “whole plant spectrum” to insure you’re getting all that the plant has to offer. What’s the extraction method used? Having these answers at least gets you in the right ballpark when deciding what to buy. 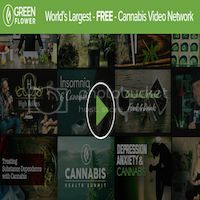 CBD comes in various formats – gel caps, oils, balms, patches, and sprays. These can be taken by mouth, applied on the body, or vaped. The delivery method and dosage that’s best for you is a matter of trial and error. Seeking the advice of a health professional trained in cannabinoid medicine is a great way to get started on your CBD education journey. CBD may not be the holy grail, but when combined with other holistic lifestyle changes, it sure can make a big difference. Laura Lagano, MS, RDN, CDN is an integrative clinical nutritionist and co-founder of the Holistic Cannabis Academy, an online medical cannabis education platform for health practitioners. Pictured Laura (left) and Donna Shields, co-founders of HCA. Visit Christina's Online Shop to see the available full spectrum CBD products ! When I was a child, my mom had aloe vera growing out in the garden. If we scraped a knee or had an itchy rash she would break a leaf and rub it where it hurt. Mom's touch and the natural aloe gel both made me feel better. As a teen, young adult and mom I knew to have a bottle on hand to also cool any burned areas of my skin; usually from the sun's rays. Aloe vera is still around today and many people probably still associate it with these more common uses. However, I've learned recently there is more to the story of aloe. Below is a list of other, perhaps surprising, ways aloe vera can be used. Aloe Vera has anti-inflammatory properties that can also help treat blemishes and acne. It softens dead skin cells , which helps reduce the fine lines and wrinkles of aging. Almost 8 million women suffer from interstitial cystitis (IC), a chronic bladder condition that can be extremely painful and debilitating. It is typically treated with one prescription medication that not only provides little relief to many, but also causes hair loss. But, one study show that 92% of patients experience significant relief of one or more symptoms with whole-leaf, freeze-dried oral aloe vera. In addition, 63-68% report substantial improvement in pelvic pain, urethral burning, and urgency and frequency of urination. A number of studies are also pointing to the value of aloe vera in helping control blood sugar, relieve diabetic nerve pain, and treat diabetic-related foot ulcers. A recent meta-analysis of eight randomized controlled trials involving 470 patients, for example, found that adults with prediabetes who took aloe vera supplements saw improvement in fasting plasma glucose, while those with Type 2 diabetes saw improvement in HbA1c levels, indicating blood glucose control over the previous two to three months. Releveum® Skin Repair Cream, classified as an over-the-counter drug by the FDA, which contains 4% lidocaine that offers instant pain relief for diabetic neuropathy and 96% aloe vera and other natural ingredients that help reduce inflammation and heal associated skin ulcers when used daily. Concentrated Aloe Vera Gele', providing skin relief for those allergic to lidocaine. What other conditions does it treat? Add a comment any include a link to any research findings.